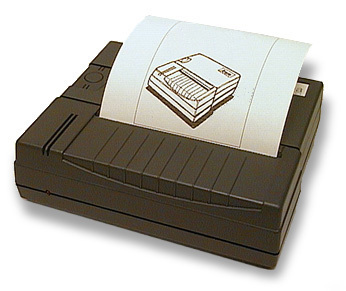 Mobile printers are the smallest of stand-alone printer devices. 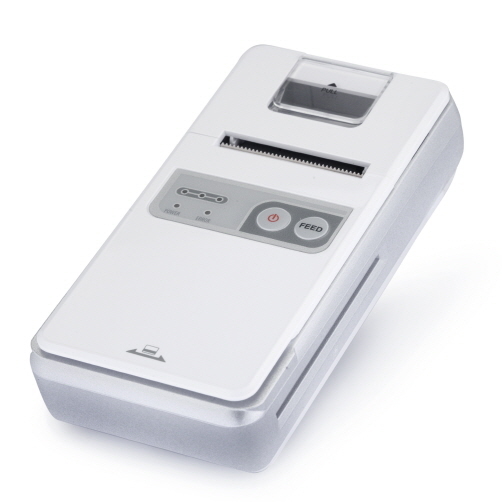 They include a printer mechanism, interface electronics and power supply in a ready to use, compact casing. Features include a choice of power options for fixed (direct power), portable (battery power) or in vehicle applications. Interfaces include Bluetooth or WiFi wireless solutions or RS232C, USB and TTL serial or parallel via a cable connection. WLAN is also now available as an option on some models. 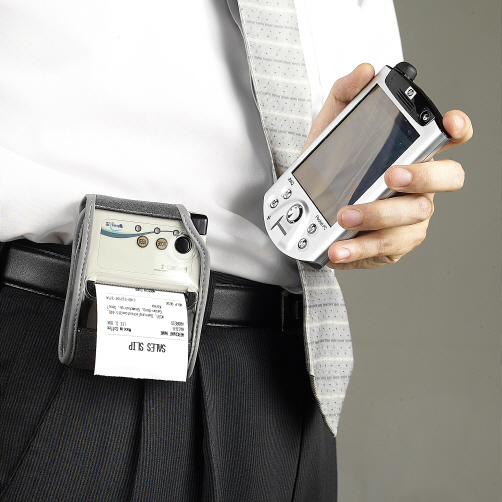 Mobile printers are so compact they are easily carried, either on the belt, with shoulder strap or even in a pocket and with Software and drivers to communicate with PDA's, Smart Phones etc. so you can be sure of a printout wherever you are. 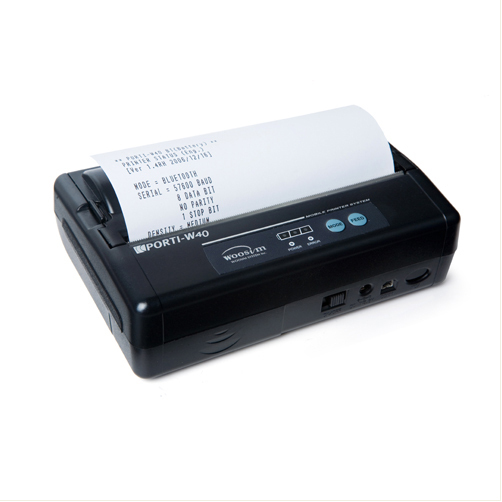 The 12V DC powered printers are ideal for vehicle receipting and are popular taxi printers. All printers in this series have Windows drivers (95,98,ME,2000 and XP) but some support; Linux, WinCE, WinCE.Net, Win 5.0, Pocket PC, Windows mobile 2003, 5.0, 6.0, Android and iOS. 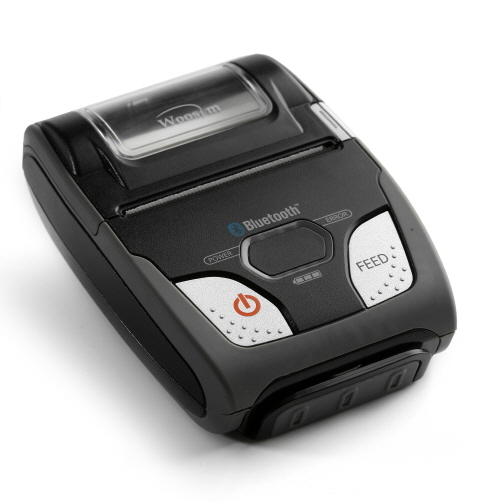 Several mobile printers incorporate a magnetic card reader (MSR) and others now also feature an IC or Smart Card reader (SCR). Accessories include spare, or higher capacity battery packs, customised cables and although tough (some rugged versions have been drop tested at over 1 metre) leather carry cases are available for additional protection. 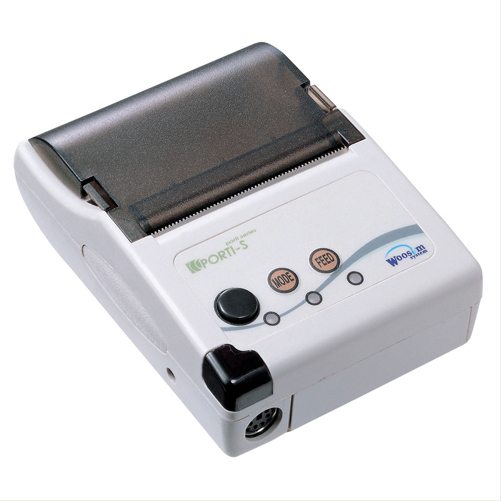 This compact mobile unit plugs into a standard printer port and records the data onto SD card instead of paper. 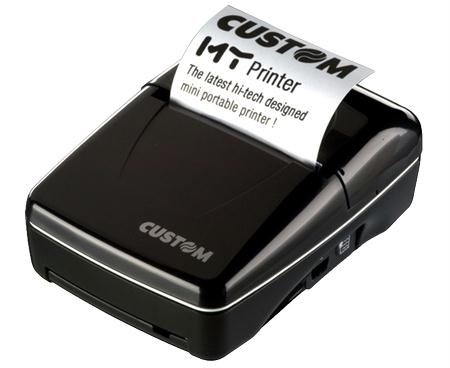 These are the smallest mobile printers available. They print on 37mm wide thermal paper rolls. 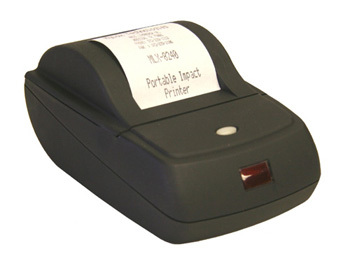 The most polular range of handheld mobile printers use 58 and/or 60mm wide thermal or 57mm ordinary paper rolls. These are still compact, with a little increase in overall dimensions but printing on 80mm thermal rolls they give more characters per line or greater dots/line resolution for larger receipts or better graphics. These are the largest format mobile printers printing on 112mm thermal rolls. 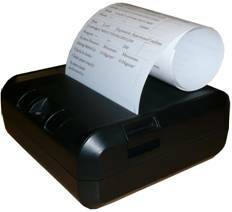 They give the most characters per line or greater dots/line resolution for detailed receipts or best graphics. 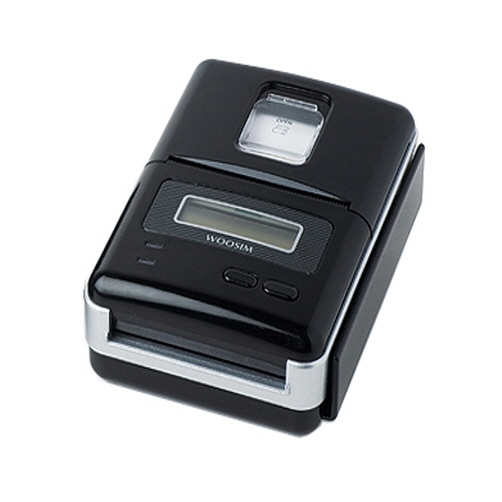 Woosim have just launched a brand new, low cost, thermal mobile printer. Popular for use in taxi cabs for receipt printing. Used in London taxi cabs. Used extensively for mobile receipting, sports timing events etc. Mostly used with industrial test equipment, attached to shop floor processes etc. 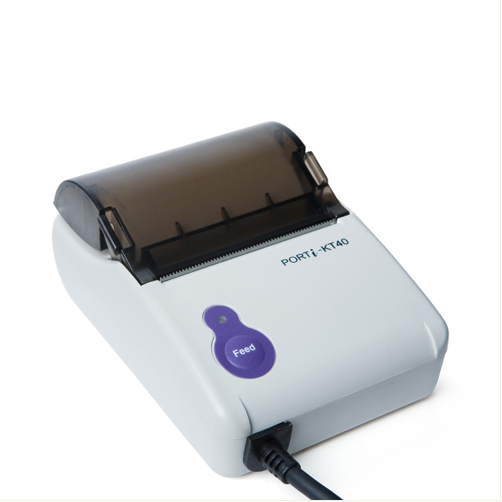 Large demand for legacy impact dot matrix printing technology which has been discontinued by many other manufacturers. 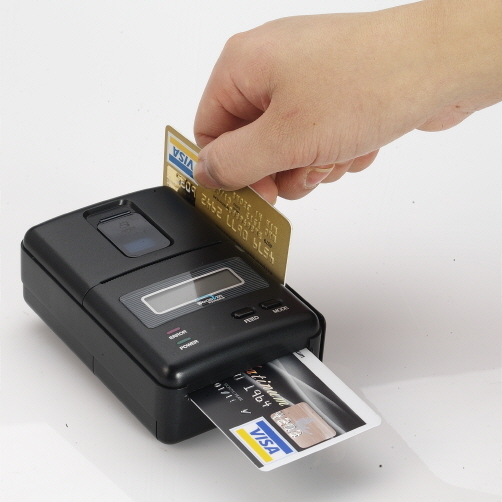 There many applications where a printer needs to be combined with a card reader. 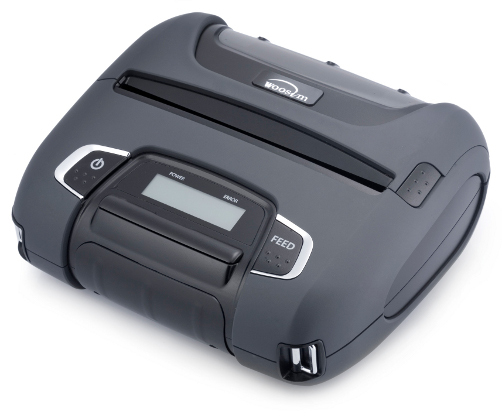 A number of the mobile and rugged printers offered incorporate either a Magnetic Stripe reader (MSR or MCR), Smart Card Reader (SCR) or both. 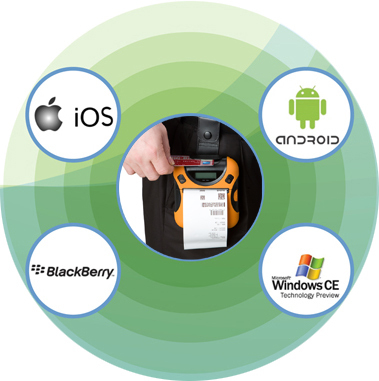 Mobile systems are increasingly being powered by Smartphones and Tablets so a range of Drivers, Libraries and Apps are available to use with most popular operating systems. More and more applications are developing for outdoor use. In this environment not only is remote power required but also protection against dust and rain is important. Mobile printers have addressed this with various styles of carry cases but a new genre of printer has been developed specifically for tough and rugged uses. A revolution in miniprinter uses! 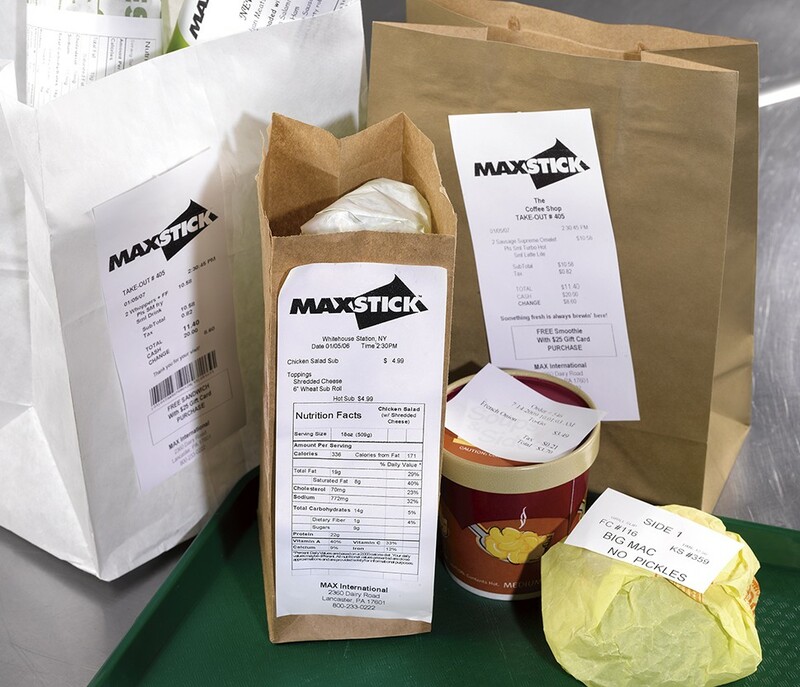 The MaxStick linerless adhesive paper rolls produce variable length, self adhesive labels from a standard, direct thermal miniprinter. This technology has massive potential for warehousing, fast food, product labelling, scientific test results etc. 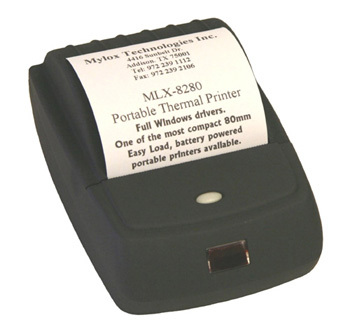 37mm (1 inch) mobile printer. 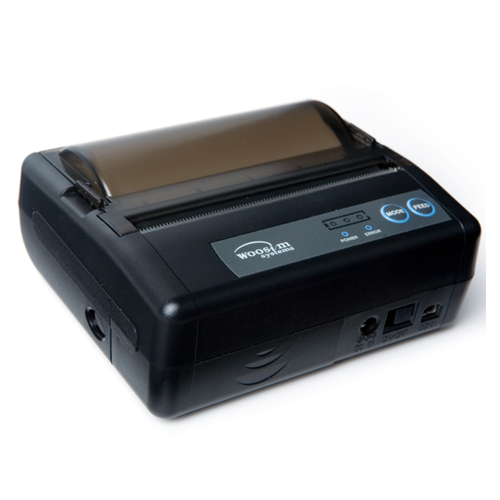 12V, vehicle powered mobile printers. New Kyosha 60mm Kyomouse Series. 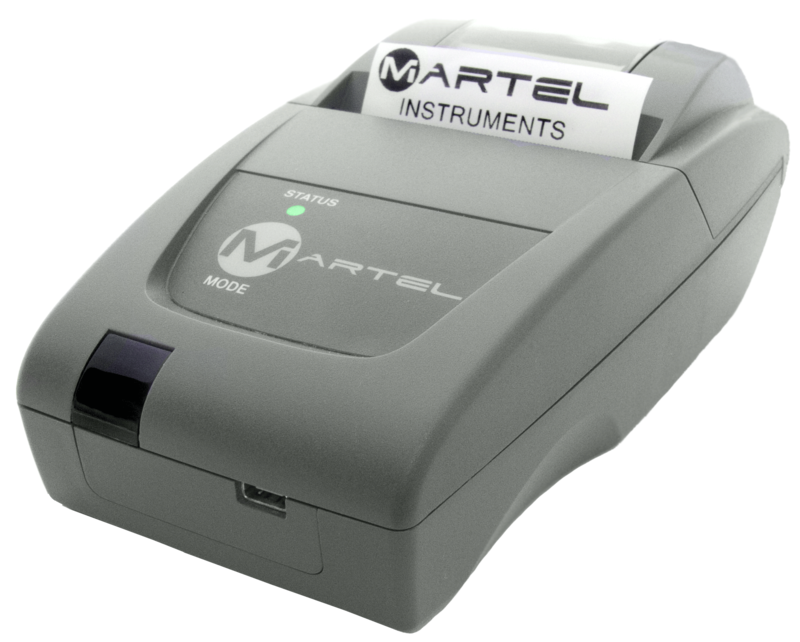 Martel Mobile thermal printer/data logger. 58mm Mobile printer with MSR option. 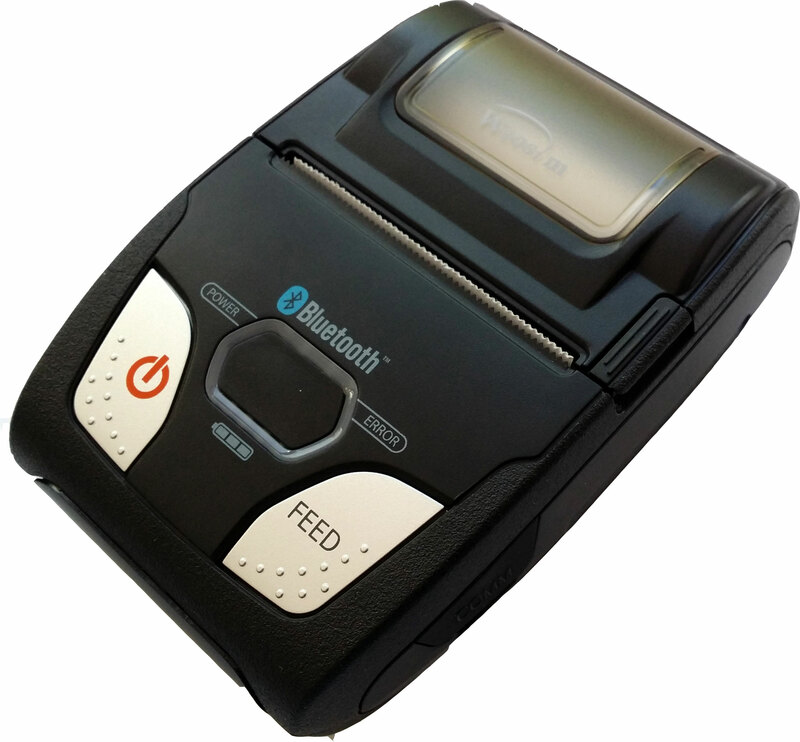 USB & Bluetooth dual interface. 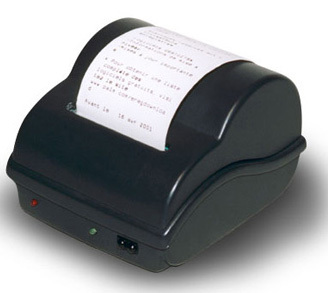 57mm impact dot matrix printers. 112mm moving head mobile printer. 112mm fixed head mobile printer. 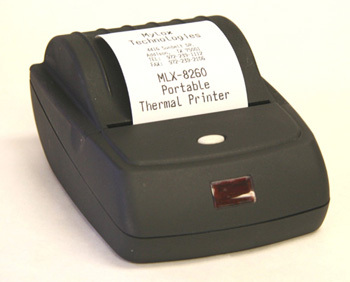 80mm mobile thermal printer range. 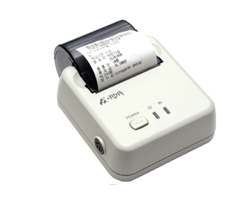 112mm mobile thermal printer range.